You are the producer, key director and writer for Fighting Owl Films. When was this company formed and where is it located? Fighting Owl Films is based in Mobile, Alabama. The organization got its unofficial start about 10 years ago while I was a student at the University of South Alabama. Making student films and shorts for film classes and the campus TV station, I needed a production banner for my films. 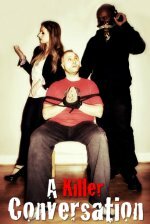 In 2007, two years after graduation, I began making films again in earnest. The production banner just stuck. Yes! 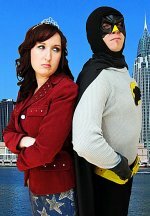 We're at www.fightingowlfilms.com and regularly post updates on our Facebook page: www.facebook.com/fightingowlfilms. How did you come across the name of Fighting Owl? The name actually comes from Wes Anderson's Rushmore. The wrestling team Max is on is the Fighting Owls. That just stuck with me for whatever reason. Before we go any further, why don't we discuss some of your past projects, one at a time, giving a little info on plot and whatever else you might want to throw in? 'Til Death was our first real stab at melodrama, something I've tried to avoid since. 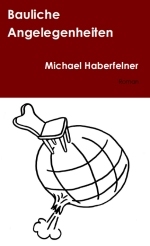 The script for the film was actually a runner up in the 2007 Birmingham Sidewrite Short Screenplay Competition. The production was plagued with many problems -- tight schedule, limited availability of actors, no crew... and some very unusual occurrences that coincided with the production. I was very ready to finish this project and was unable to spend the time on the film that I really wanted and needed to. One very important lesson that came from 'Til Death: As a rule of thumb, never film a haunted house story in your own home. We had some very eerie things happen during and shortly after production. Shadows is a super short three-minute film about a leasing agent preparing a haunted apartment for showing. It was filmed quickly and on the fly for a contest. The short has some ideas in it that I'm still interested in exploring for a future film. This superhero spoof was a lot of fun to make and I think it's just as fun to watch. The characters were culled from a feature script I wrote many years ago and distilled into the versions that ended up on screen. I'd love to tell more stories with Captain Condor and Miss America but I haven't had the opportunity to do so yet. There are a few others I think I am forgetting off the top of my head? 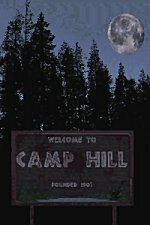 Camp Hill is our first short film - a B-move slasher homage. The Strange Experiment of Dr. Purefoy was a slow-burn thriller. Camp Hill is silly, had zero budget and was just us having fun in the woods with a camera. I hadn't made a film since college, so this was essentially me dipping my toe back into filmmaking. It's not the greatest, but it got things jump started. I like Purefoy, though it didn't quite turn out the way I had hoped. You are presently working on something on the Jersey Devil? We're currently working with a producing consultant to find financing to produce a feature-length film focusing on the legend of the Jersey Devil. 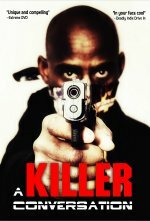 The script has gotten a lot of great feedback and I'm excited to get started on it. The film mixes horror with adventure and romance. It should be a lot of fun! 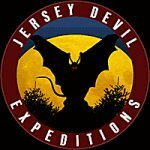 For the unknowing, what is the Jersey Devil? A mythical creature said to stalk the wooded Pine Barrens of New Jersey. It has wings, cloven feet, a tail and is very, very violent. You have worked a good deal with an actress, Erin Lilley. What can you tell readers about her? Erin is an accomplished film and theater actress, as well as a classical singer. She's been with Fighting Owl Films since Camp Hill and handles acting, as well as producing duties. A man named Soren Odom has also done a lot of work with you? Soren Odom showed up as a volunteer on Camp Hill. He worked the boom mic. Lucky for me, he kept showing up for other projects when we needed crew. He has also scored all of our films, beginning with Shadows. He was the voice of Herbie in The Night Shift (short and feature) and served as director of photography for The Night Shift-feature. Are there any other actors, actresses or significant people with your company you feel are worth mentioning? Do you plan to be seeking more scripts from others or stick to your own material? For now, I'm sticking with my own material because I have full control. I've brought Soren into the scriptwriting process, as well as Erin to some degree. Erin has helped iron out story problems in the past and Soren has helped hone characters, dialogue and plot points. It's always nice to have another pair of eyes reviewing things. Sometimes, as the sole writer, you get too close and can't see the forest for the trees. I'd love to one day be able to throw out a story idea and have a writer bring me a finished script a few weeks later. I have several notebooks full of ideas... there's just not enough time in the day to get to them all. Of the various elements you have been involved in with the indie film, such as directional work, production and more, what do you prefer? It's a tough call between writing and directing. I love both because I'm closely connected with the material and have the best understanding of the story, characters, etc. On the same hand do you have a least favorite, but necessary line of work you need to do yourself? Producing... there's a lot to contend with, schedule and secure before filming can begin. It's the least creative of the facets I'm involved with. It's not glamorous work, but someone has to do it or else the film wouldn't get made. Competition within indie cinema is fierce and it seldom seems to get the recognition it deserves, I think. Would you agree? It's very difficult. With technology and equipment as affordable as it is, everyone is an indie filmmaker. The playing field is overcrowded and it's even more difficult for audiences to find your film. What then might you say would differentiate your works from the host of other indie releases out there? I like to think our films have a lot of heart to them. It's not just monsters running amok; there are characters and people to care about... it's about something. I'd like to thank everyone at Fighting Owl Films for all their hard work and time. This is one of those things where you just have to keep moving forward and it can be difficult, especially on low/no-budget films. We've all worked hard and continue to do so. I just hope it will all amount to something one day. Thank you for your time and support along the way. It's greatly appreciated.